Comment: Gutters separated and leaking at corner and end cap seams. A couple sections have standing water. Comment: 3story townhome. 24 ft section of gutter needs cleaning with a 6 ft span that needs reattaching. Comment: Need to have original 5 inch gutters replaced with 6 inch to include leaf-guard protection. Downspouts are in working condition and do not need to be replaced. Comment: I would like to get an estimate for new for inspection. Comment: Gutters repair and flashing instalation. Buford Gutter Cleaning & Repair Services are rated 4.77 out of 5 based on 1,091 reviews of 24 pros. 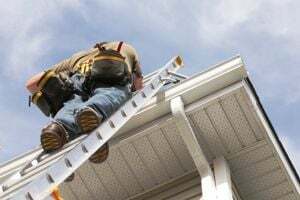 Not Looking for Gutters Contractors in Buford, GA?